The Hard Rock Hotel is the eighth hotel to receive this certificate, awarded to businesses that exemplify a commitment to social and environmental responsibility. The Riviera Nayarit, which prides itself on being a destination that’s pro the environment and the community, recently received its eight EarthCheck certificate. This time it was the Hard Rock Hotel that recently received a 2014 Silver Certificate from EarthCheck, which it obtained once it passed all of the sustainability procedures needed to achieve accreditation. EarthCheck is the top environmental benchmarking and certification program in the world. “I think this gives us one more attribute to add to our list when it comes to selling. It also demonstrates to both the domestic and international tourist that nowadays there are hotels in the Riviera Nayarit which are sensitive to the conservation of the environment, especially since climate change is a global issue,” said Luis Entrala Fábregas, Director of the Hard Rock Hotel. In order to become certified the interested party must first conduct a check of the environmental health of the company, undergo several benchmarking programs and evaluate its environmental and social impact. Afterwards it must follow a sustainable plan of action, implement changes in its procedures and its personnel training, verification and compensation, as well as in its monitoring and marketing. 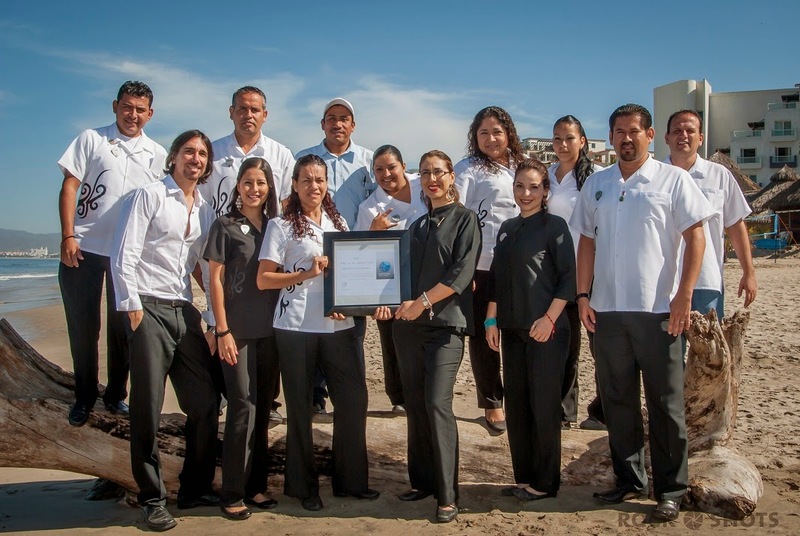 Seven hotels in the Riviera Nayarit have already obtained an EarthCheck certification; the recently inaugurated Iberostar Playa Mita is currently undergoing the procedures necessary to obtain its own certificate. The list of hotels that are already certified includes Mayan Palace, Grand Mayan, Ocean Breeze, Grand Bliss, Grand Luxxe, Grand Palladium and Hotel Cinco. The Riviera Nayarit Convention and Visitors Bureau would like to congratulate the Hard Rock Hotel for this achievement, which serves to create an even more attractive destination for tourists visiting Mexico’s Pacific Treasure.